Create something unique for your eCard design or event invitation by using your own photos or graphic art. Members can upload up to 100 photos or graphic art designs of their own creation to be used as eCards or invitations. Multi-User Plan administrators are also able to share eCard/invitation designs with their members, which essentially gives each of their members access to 200 custom eCard designs. 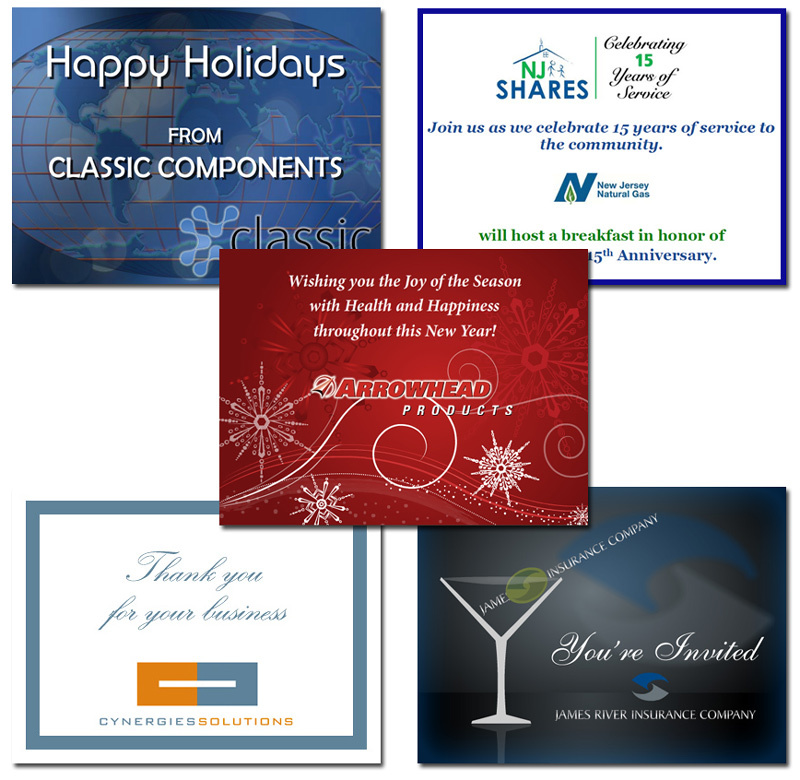 Custom eCard Designs - Easy as 1-2-3! Need help creating an eCard or invitation? Call CorpNote's art department at 609-406-1665.